Brandon Sudweeks of Coldwell Banker Commercial SC has sold a ±3,064 SF medical / general office condominium. 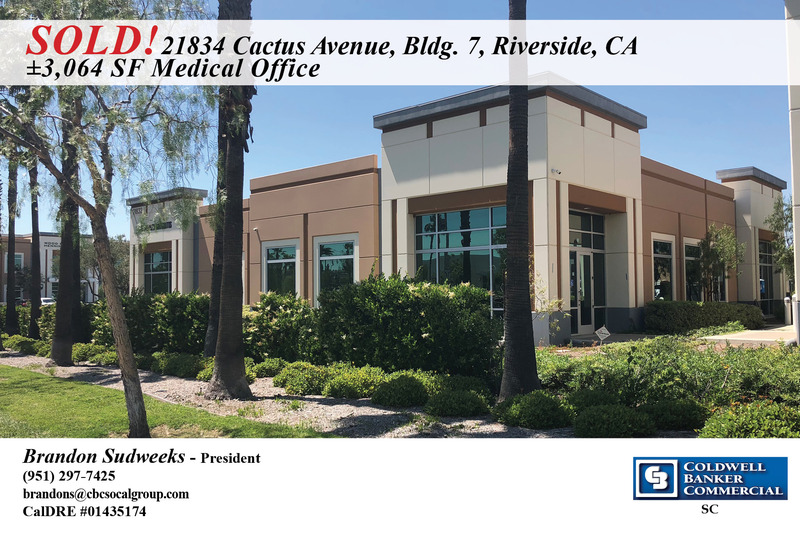 The property is located at 21834 Cactus Avenue, Building 7, Riverside, CA, in the Horizon Business Park. For more information, please contact 951-200-7683 or email brandons@cbcsocalgroup.com.